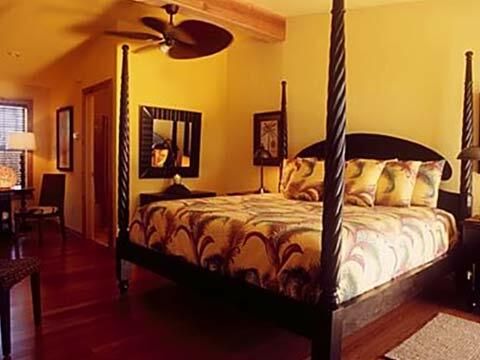 A Florida Keys hotel that provides award winning accommodations in the heart of the Florida Keys. Lime Tree Bay Resort, recipient of the coveted Superior Small Lodging Award approved and recognized as one of Fodor's Travel "best bets" resort hotel in the Florida Keys. Lime Tree Bay Resort hotel is consistently recognized for its hotel excellence in the Florida Keys between Marathon and Islamorada. Lime Tree Bay Resort's hotel amenities include a white-sand sunning beach in the Florida Keys, swimming pool, heated Jacuzzi, tennis court and breathtaking sunsets where you can watch the sun melt into the Gulf of Mexico each evening. And each hotel room at Lime Tree Bay Resort has access to comfortable hammocks, barbecue grills and secluded sitting areas that are nestled among more than 100 palm trees. Florida Keys world class fishing and Florida Keys diving and snorkeling is at your doorstep (nearby, within a few miles). Waterfront state parks, dining, shopping and entertainment are only minutes away. If you want to truly experience the Florida Keys, Lime Tree Bay Resort is your destination. Recipient of the coveted Superior Small Lodging Award approved and recognized as one of Fodor's Travel "best bets" in the Florida Keys, Lime Tree Bay Resort is consistently recognized for its excellence in the hospitality industry. Lime Tree Bay Resort is located in the heart of the Florida Keys. As the egret flies, this Florida Keys resort is ideally situated near the center of the chain of islands that links busy mainland South Florida to the legendary latitudes and laid-back attitudes of Key West. Intimate. Friendly. As quiet as a sunrise, Lime Tree Bay Resort has only 33 units located on over one-quarter mile of lush, tropical waterfront property. Almost every room has a magnificent view of the water. And, even though we are a small resort with only 33 units, Lime Tree has a wide range of accommodations that include charming cottages, one and two bedroom suites, studio efficiencies and standard motel rooms all of which were tastefully renovated in 2002. At Lime Tree, some things remain constant-the lush tropical setting, the magnificent views and the serious commitment to personal service. Because of our smaller size and our more relaxed atmosphere, it allows Louise, George and the rest of the Lime Tree staff to really care for and connect with our guests. These are the qualities that set us apart from the mega-chain resorts that dot the Overseas Highway that stretches through the Florida Keys. Amenities include a white-sand sunning beach, swimming pool, heated Jacuzzi, tennis court and breathtaking sunsets where you can watch the sun melt into the Gulf of Mexico each evening. And each room has access to comfortable hammocks, barbecue grills and secluded sitting areas that are nestled among more than 100 palm trees. World class fishing and diving is at your doorstep. Waterfront state parks, dining, shopping and entertainment are only minutes away. If you want to truly experience the Keys, Lime Tree Bay is your destination.